Spring is just around the corner, although the two feet of snow cover as I look out the window may not lead me to believe this statement! 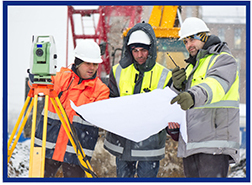 With the coming of spring, contractors are gearing up for the construction season and are busy bidding on projects. When your clients come to you for their bond bid and performance bond needs, remember Big "I" Markets partner Goldleaf Surety Services is here to assist you. Securing surety bonds can be a time-consuming, costly and embarrassing process for many agencies. Producers and CSRs can face steep learning curves if they want to handle the product. With hundreds of different bonds available, your staff may not know which markets are most likely to write a particular class of bond, which forms to use, or what information to request from the insured. This lack of expertise will quickly become evident to your client and ultimately impact your bottom line. Goldleaf Surety Services is here to help. With one call, we'll provide your agency with instant access to almost every type of bond your clients will ever request, from performance bonds to almost every other type of surety and fidelity bond that may be needed. We also have extensive experience with all forms of license and permit bonds, court bonds, fidelity bonds and other commercial & miscellaneous bonds. Here's the best part: On each bond placed for your agency, we will send you a referral check… regardless of how much or how little work you do on the bond. Not only will you look like a hero with your customers, we will share a portion of the commission revenue with you - just as though we were part of your agency. TEAM UP WITH GOLDLEAF - with tremendous capacity, a huge range of solutions, and exemplary service, Goldleaf Surety Services should be your agency's first call for help and ultimate surety safety net. Big "I" members can contact Goldleaf by logging onto www.bigimarkets.com or by calling Goldleaf directly at (888) 294-6747 and asking for Lori Olson. We are thrilled to announce the updated admitted cyber liability solution you can offer to your small business clients through Big "I" Markets. The program has increased to a $250,000 limit with enhanced coverages including Ransomware, Social Engineering Fraud to cover fraudulent instructions and Telecommunications Fraud. The program has also gone to a $0 deductible and notification expenses have been increased to the full policy limit. Every business has PII (Personal Identifiable Information), computer systems to conduct daily business, and most utilize ACH and wires. Now imagine your client loses a laptop or business smartphone; or gets the call from a customer that a credit card was improperly used after a visit to your client's store. Who does that small business call now? What do they do? What are the fines? What if they have their computer encrypted for ransom or transfer funds due to a fraudulent instruction from a cyber criminal? Can they afford to lose $10,000 or pay a $5,000 ransom to get their computer system back? $200 solves this issue for most small businesses with under 50 employees, if their independent agent has offered coverage through Big "I" Markets' new "Cyber-Small Business Solution" product. Businesses of all kinds should carry cyber coverage. Lawyers, CPAs, podiatrists, consultants, counselors, taxi operators, restaurants and bars…you name it. You'll find our ineligible list is tiny: banks, credit unions, payment processors, network/cloud providers, security broker dealers, online adult industry, and gambling organizations. Coverage is "primary to other." If your client asks for more coverage, offer consultation after providing instant protection. Big "I" Markets provides two additional cyber markets to provide higher limits and more coverage: the admitted Travelers Wrap+ product and the non-admitted Coalition cyber program. Multimedia Content Liability may be available to certain risks in the admitted Travelers Wrap+ cyber module. In addition to providing enhanced coverages such as, Breach Response Costs outside the limit, and a broader risk appetite, the non-admitted Coalition program also provides free Cyber Security Tools to help policyholders become less vulnerable to cyber attacks. Go to www.bigimarkets.com, choose cyber liability - small business solution and provide a customer email in the quote request function. BIM takes care of the rest. We collect the application and $200 via credit card directly from the customer, and pay you. The policy and certificate are available in 24-48 hours after payment has been processed. We post a signed application and certificate with a link to the policy on BIM. "We want every policyholder in the Big "I" Professional Liability program (and indeed, every Big 'I' member) to offer cyber liability coverage to all their small business clients. Doing so will minimize the top source of E&O claims, 'failure to offer,' and provide better protection to your valued clients," says Jim Hanley, Big I Advantage® Director of Risk Management. Questions? 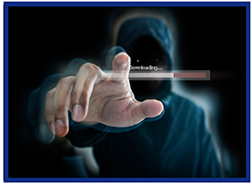 Go to www.bigimarkets.com and select "Cyber Liability-Small Business Solution" from the commercial products menu, or email carla.mcgee@iiaba.net. 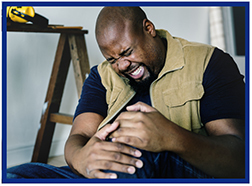 According to Industry Week, approximately 3.7 million people are affected by workplace injuries each year, costing employers over $170 billion annually. CNA's Workers' Compensation coverage for small businesses, available to Big "I" Markets agents through Big "I" Markets, provides the necessary medical coverage and wage replacement for employees injured on the job. It also offers services to help them remain on the job or return to work as soon as medically appropriate. Why CNA for Workers' Compensation? Experienced underwriting, risk control and claim professionals are dedicated to keeping your customers' businesses running. Services include medical bill review, return-to-work program, 24/7 claims assistance and guidance on implementing health and safety programs to keep the workplace safe. Did you know Workers' Compensation is offered on a monoline basis or with other products? Your small business Workers' Compensation policyholders are eligible for pay as you go billing from CNA. This service helps eliminate the guess work of insurance costs while helping your clients gain more control over their cash flow. Payments are based on real time payroll data, so they pay exactly what they owe each billing cycle - no more, no less, with no need to worry about owing additional fees or getting money back at the end of the year. $10M payroll for Technology and most Professional classes. $5M payroll for Healthcare and some Professional classes. $1.5M payroll for Manufacturing classes. $2M payroll for all other industry segments. Congratulations to this week's winners - Rebecca Costa (NC), Sarah Lassor (RI), Megan Yochum (OK), Julie Singley (AL), & Kathy Falconer (MO). Congratulations to our agent in Georgia on a Affluent Homeowner sale of $16,665 in premium!